There have been a lot of advances in the total hip replacement surgery process over the past decade. Much of that has focused on the development of new artificial hip joints as well as computer aided methods of performing the operation. 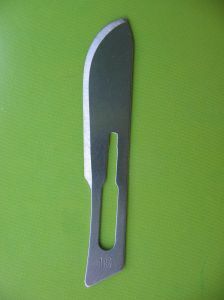 There have also been improvements in the cutting guides surgeons use to know where to make the cuts and align the device. A cutting guide is similar to a carpenter’s jig and allows the surgeon to make as precise as possible cut in the patients existing joint and bone to allow for a proper tight fit for the new artificial joint. The better the new joint matches up, the less of a chance there will be any complications later on. As our Boston hip replacement lawyers have seen in far too many cases, it doesn’t matter how precise the cuts are made and how well the surgeon implants the artificial hip if the artificial hip joint was defectively designed. One artificial hip that was particularly problematic was the Pinnacle ASR, made by a company called DePuy, which is a major manufacturer of artificial hip joints. The ASR hip was metal-on-metal as opposed to using ceramics and plastics like many other artificial joints on the market. The reason they claimed to use all metal was because the movement was supposed to have less friction and be smoother. However, as is often the case with metal hitting metal, there was more friction instead of less, and the company did not do enough safety testing to determine this to a be a problem. When the joints were implanted in patients, they would fail in a variety of ways. In some cases, they would emit metal shards that would enter the patient’s blood stream and cause a serious illness known as metalosis. In other cases, the devises would become loose and fail entirely, causing the need for a second or subsequent surgery to correct the problem. If there is additional surgery required, this can result in additional pain and suffering, lost wages, future medical expenses, and other types of special damages that you can discuss with your attorney. According to a recent news feature from NBC, a new table has been designed that looks vastly different from a standard operating table. This new table is designed to make it easier for surgeons to perform a total hip replacement. This table allows the surgeon to perform a total hip replacement procedure using what is known as the front or anterior approach. By doing a total hip replacement in this fashion, the doctor does not have to cut through the muscle, and this means that there will be less damage to the surrounding structures where the new joint is implanted. As a result of there being little or no damage to the muscle and other tissues, the recovery time period will be much shorter, and the pain and suffering will also be significantly less. The new table has arms on it that stick out where the patient’s feet would normally be with special boots attached to these arms. The patient’s feet are put in these boots, and this allows the surgeon to access the hip from all sides, as the patient is not lying on a table.